Convenient dental care in Meriden CT with same-day emregency care, family & sedation dentistry! We are committed to making sure your dental visit is as convenient and enjoyable as possible. Many of our services and treatments focus on saving you both time and effort. It is also important that you receive individualized attention, which allows us to offer you faster and more comfortable dental care. Here are just a few ways we make it easy and more affordable for your family to receive quality dental care. Sedation Dentistry - Lowering anxiety can make the difference between an enjoyable visit to the dentist and an awful one. We offer IV sedation for complete comfort during third molar extractions. For other care, nitrous oxide not only allows you to relax through your treatment, you can drive yourself home when it's finished! Treatment for Each Family Member - Kids and seniors have unique needs. No matter what your age, we focus on the specialized care you require. Emergency Care the Same Day - In the unfortunate occurrence of a dental emergency, we can see you the same day to ease any pain. We also have a doctor on call after regular office hours. Get Cozy! - We have blankets and pillows available for complete comfort during your treatment. We also provide free WiFi internet access for you. Convenient Location - We are centrally located on Broad Street with a CT Transit stop next to our office. Convenient Hours - We are pleased to offer late evening and Saturday appointments to accommodate busy schedules. New Patient Forms - These are available online for easy access! Fill them out at home at your own pace so you can make sure they're complete before arriving to your first visit. A Full Range of Financial Options - We offer multiple ways to pay for your treatment, whether or not you have dental insurance. For those with insurance, we'll help you file for maximum benefits. We are a proud participant of the HUSKY Dental Program for children under the age of 19. 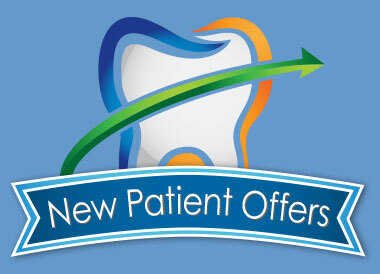 If you don't have dental insurance, ask about our Dental Discount Service (DDS) and CareCredit programs. We work to provide you with efficient, convenient dental visits. Call us today at (203) 235-5588 to see what we mean.